No vehicle signs 450 x 600 mm no unauthorised vehicles class 1 reflective 3mm aluminium signs. 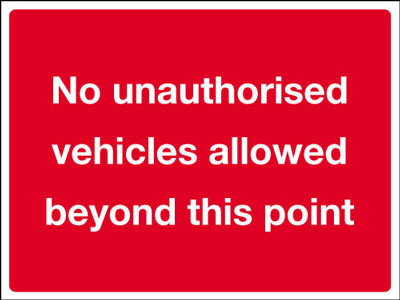 No vehicle signs - 450 x 600 mm no unauthorised vehicles class 1 reflective 3 mm aluminium signs. No vehicle signs 450 x 600 mm no unauthorised vehicles class 2 reflective 3mm aluminium signs. 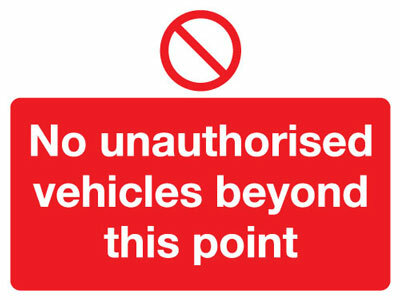 No vehicle signs - 450 x 600 mm no unauthorised vehicles CLASS 2 reflective 3 mm aluminium signs.